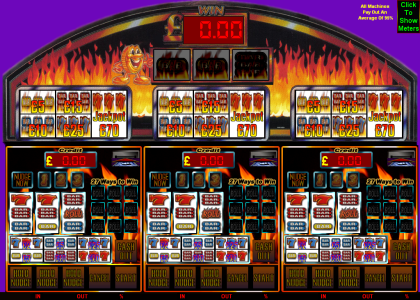 A UK 3 player style £70 Jackpot game with a 95% payout average. Features usual holds, nudges, holds after nudge. Main feature is 3 "roll" symbols in view for mixed streak, blue streak or red streak. Watch out for the middle symbol on reel 2 as it is wild!. Will you get the illusive super red streak for big money?. This game has our hide meters option and keyboard shortcuts. Once payment has been made please request your game code via email to activate your game fully. Game updates and codes are sent out as soon as possible. Sorry, No Video Currently Available. Contact us for details and video criteria.